You’ll want to wear this comfy, cozy knit dress every day! 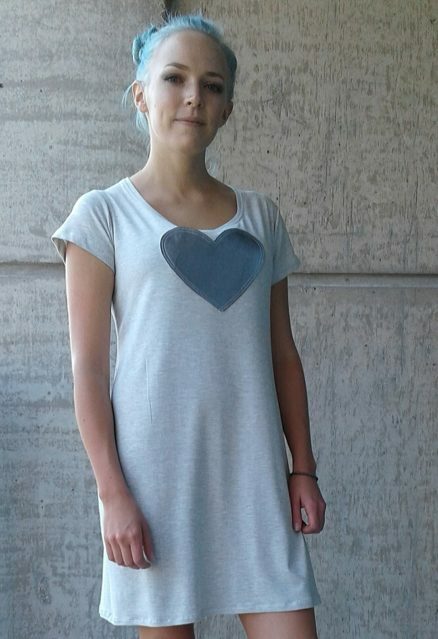 Made of a soft, light grey heathered fabric. Hand painted gold heart is stitched in white thread on the front. Semi fitted. Wear with leggings or a fun pair of sneakers!